Skoda to launch new Focus rival in 2012 | What Car? Skoda will launch an all-new small family car in 2012. 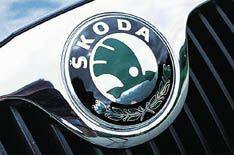 Sources have confirmed the car will be developed entirely by Skoda engineers, using the modular platform technology that underpins all the cars within the VW Group. The new car will sit between the Fabia and Octavia in Skodas range, and give the company a more traditionally proportioned small family car in its range. The Fabia is too large to be a traditional supermini, and the Octavia is too large to be a traditional small family car, said a source. The new car will bridge that gap and give our customers a car that sits perfectly in the segment.